Whether you have one day off in Istanbul, or are on a leisurely holiday, there are both some well-known and lesser known activities NOT to be missed. Here is a list of five that will keep you busy; beginning with the tried-and-true and then moving into treasures somewhat off the beaten path. Of course, while in Rome, errr Istanbul, one should take a bit of time to visit the touristy heart of historic Old Istanbul, the Sultanahmet area; to see Ayasofya, the Blue Mosque, Topkapi Palace, Ayasofya (Hagia Sophia) and the The Basilica Cistern or Yerebatan Cistern (Turkish translation: Yerebatan Sarnıcı- “Sunken Cistern”), (many tend to miss this last one, an underground basilica/cistern located 150 m south west of the famed Hagia Sophia). There are numerous museums and sights in this region and you’ll also find the Grand Bazaar and the Spice Bazaar here, both great to immerse oneself in a bit of old-world shopping. The Hagia Sophia, as one of the world’s most fascinating and beautiful historic buildings, deserves special mention, as its incarnations through history stand out as symbolic to the chronological changes in growth that have taken place in Turkey. Opening in 537, it started out as the world’s largest cathedral until Seville cathedral was completed in 1520, and remained a Christian cathedral for 900 years until the Turks took the city (then Constantinople) in 1453. The Hagia Sophia was then transformed into a mosque for the next 500 years. In 1935 this magnificent structure became a museum; open for the enjoyment of the public. Inside this vast square building, columns and piers rise over massive Byzantine mosaics; the dome ceiling floats majestically on a circuit of 40 arched windows, which flood the vibrant interior with light. The Kadikoy District is less touristy and not as well known, but holds some quaint narrow streets, fun local shopping and a wonderful gem in the authentic Turkish menu (by Chef and founder Musa Dağdeviren) at the Ciya restaurant “trio”. Ciyaactually has three addresses on the same street, complete with great patios, and they all serve similar menus, Ciya Sofrasi, offers some Anatolian dishes the others don’t and has a cozier and more up-scale setting. 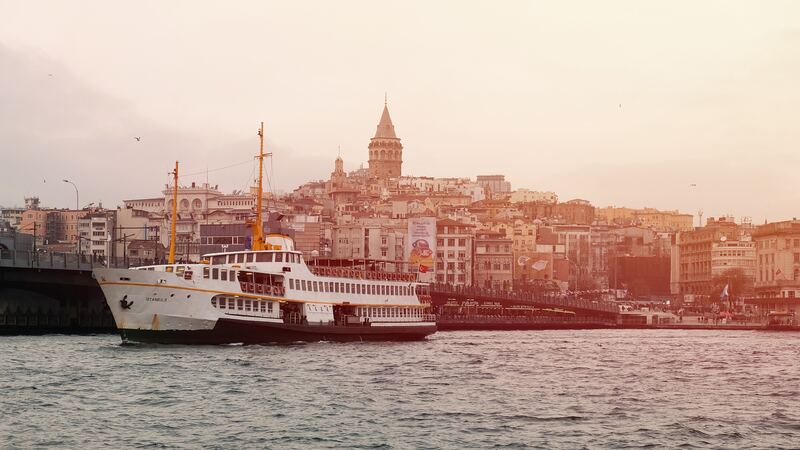 To get to the restaurant Çiya Sofrasi from the old city of Istanbul, take a twenty-minute ferry ride to the Asian side of the Bosporus. Istanbul’s commuter ferries ply across the Bosporus from Asia to Europe and vice versa in 20 minutes for about 75p. This is a fabulous view of the old city and a great photo opportunity. The actual Ciya Restaurant area is a little difficult to find – if you’re daring, follow the main crowd off of the ferry (there’s a small walkway to wind your way through and a few turns) just ask someone, or call ahead for directions. Historic Istanbul is also a mecca of contemporary art and design, and there are a couple of key ways to immerse in this. The Istanbul Modern is İstanbul’s first Museum of Modern Art and Turkey’s first private museum to organize modern and contemporary art exhibitions, since 2004 this beautiful 8,000 square meter space has been pushing the envelope on the shores of the Bosphorus. It also has a trendy café with a great menu and fun, large center bar. And finally no guide to essential Istanbul would be complete without talking about its nightlife, which is a blend between East and West, ancient and thoroughly modern. Istanbul has a varied nightlife scene that has taken the traditional and melded it with the contemporary. The range of night entertainment is vast, from small cafes to techno and rave nightclubs and everything in between. Istanbul is quickly gaining a reputation as having some of the liveliest nightspots in Europe. An authentic Turkish experience can be had at one of Turkey’s meyhanes. These taverns serve raki, beer and wine, along with an awe-inspiring selection of mezes (Turkish starters or appetizers), succulent kebabs and fruits of the season. The most famous meyhanes in Istanbul are located in the Cicek Pasaj in Beyoglu, a bustling channel with many meyhanes which are intermingled with fish, vegetable and flower stalls. Street musicians wander among the visitors, providing a great ambiance and background as one explores the region. 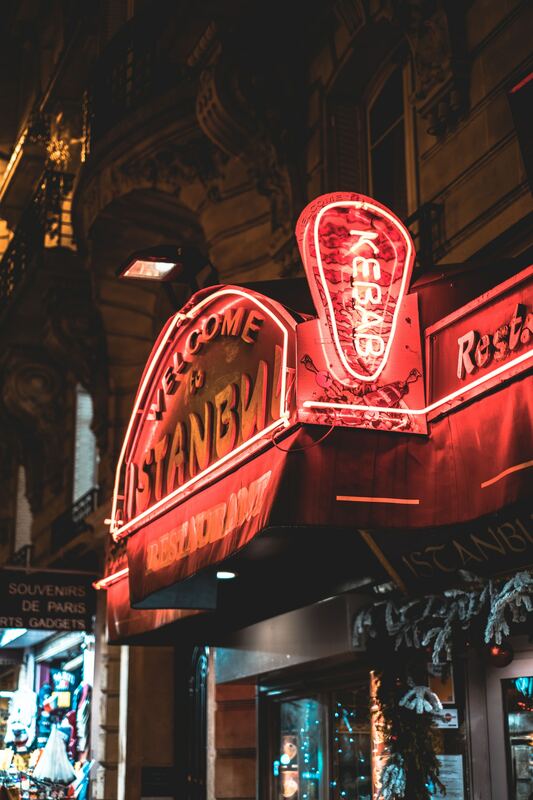 Beyoglu district also boasts some of the best fusion eateries and world music clubs. If upscale cafes, wine bars and design and art galleries are more suited to your evening tastes, then the Akaretler Row Houses in the Besitktas area is for you! The W Istanbul Hotel, right in the centre of this district, is a great place to start, complete with trendy and chic W Lounge and the traditional Turkish fare served up in the fashionable settings of both Minyon and Okka restaurants.